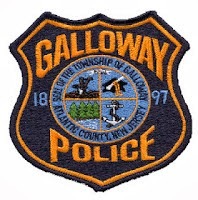 On March 30, 2014 at 8:48 p.m., Galloway Township Police received a 9-1-1 call from a victim advising she was sexually assaulted. According to Police, the victim is described as a 41-year-old Female from New York. During the investigation it was discovered that the suspect had taken a taxi-cab to the Tropicana Hotel / Casino after the assault. According to Police, the incident reportedly occurred at the Fairway Villas in Galloway Township. Det. Bryan Casey supplied Tropicana Security with a photograph of the suspect who was located several hours later on the casino floor. The suspect, identified as Phillip Love, 31 of Philadelphia, PA was taken into custody by Atlantic City Police Department and turned over to the Galloway Township Police Department. Love was charged with Aggravated Sexual Assault and lodged in the Atlantic County Jail Facility in lieu of $500,000.00 bail.